How consumer support for the purchase of fake consumer electronics actually damages brand image and equity. The production, distribution, and sale of counterfeit online consumer electronics is a persistent and growing problem for manufacturers and retailers of genuine items. Shanzhai has proved to be a huge influence, and counterfeiting is a larger industry than its ever been. 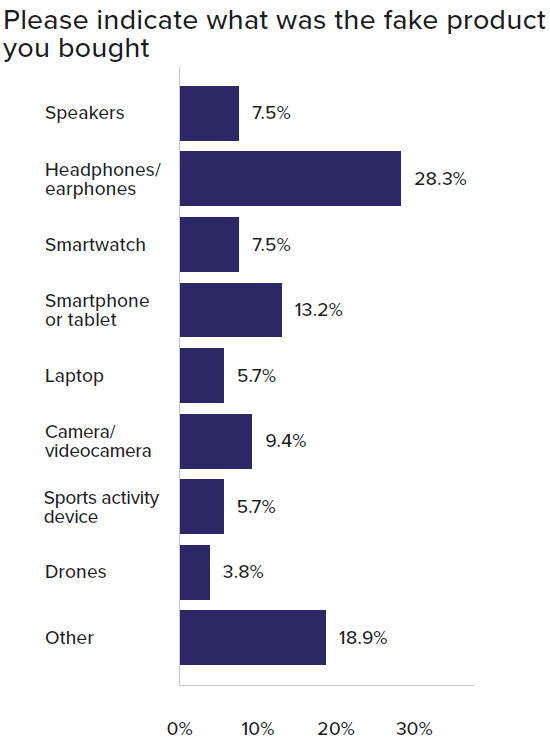 Consumer electronics cover a swathe of products as varied as mobile computing devices like mobile phones and tablets, smart speakers and smartwatches, e-cigarette and vaping devices, Bluetooth speakers and earphones, and hoverboards. With the consumer electronics market set to exceed US$1.5 trillion by 2023, the stakes are high when it comes to protecting brand equity. Governments are also concerned about the safety of consumers from faulty or substandard parts put in fake consumer electronics. 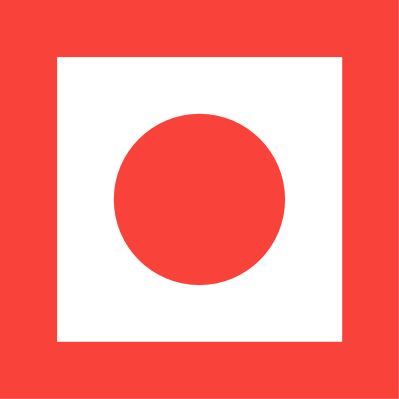 Also at stake are the thousands of jobs of people who depend on the sale of genuine consumer electronics: designers, engineers, sales and marketing talent, retail outlets and repair operations. The economic effects of counterfeit goods have been thoroughly examined, and the potential harms to society are deep and long-lasting. Red Points’ research, “Shocking Counterfeits - The spread and consequences of fake electronics online,” covers vital areas of interest to online and brick-and-mortar retail outlets about consumer buying behavior that leads to the purchase of online consumer electronics. The report also discusses why and how some buyers choose to buy counterfeit consumer electronics. Finally, the analysis looks at consumer perceptions of the market for fake consumer electronics and their response to the prevalence of counterfeit electronic merchandise, and provides key takeaways. The Buying Behaviour section of the report explores the general buying patterns and rationale for online purchases that consumer electronics shoppers make. Consumers responded that the two most important considerations in purchasing consumer electronics are performance and affordability. These two factors imply that consumers are looking for products with certain performance function for a good price. Brand name scored fifth in the table, implying that for consumers, labels are not the primary cause for buying products. Consumers want a product that performs well over a long period and is reasonably priced. Image and implied reliability are secondary considerations. 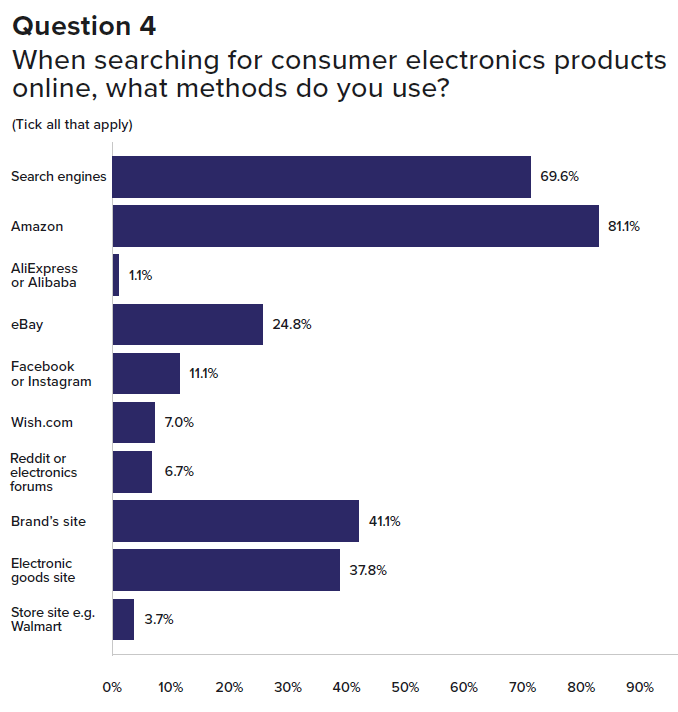 More than 80 percent of respondents to the survey cited Amazon as their primary channel for searching for consumer electronics to buy. Search engines like Google represented nearly 70 percent of search activity. Social media platforms are growing channels for product searches. Though only 11% of respondents check social media as a preferred method of searching for electronics, in a follow-up question 77% percent of respondents cited they would consider making purchases from posts, comments or adverts seen on social media platforms. Consumer electronics customers prefer to use reviews and star ratings to evaluate items. For many people, these were the only options in the survey they selected. They seem to rely entirely on online recommendations to analyze a product online. 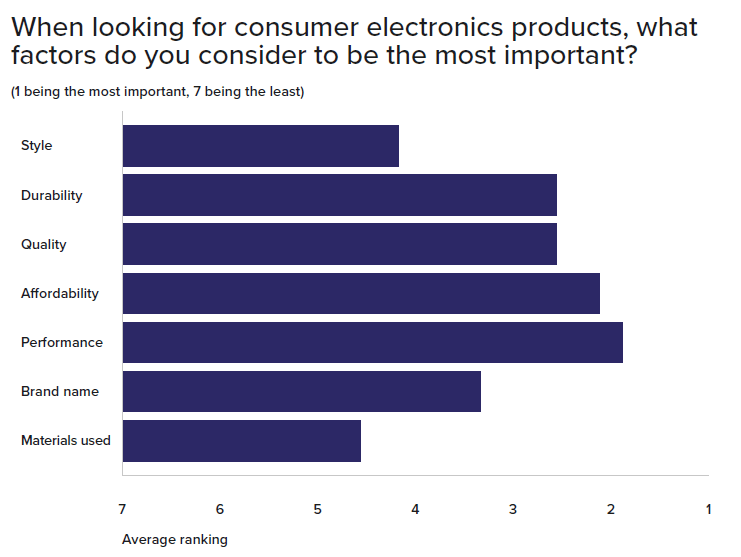 Considering the primary factor for evaluating electronics products was performance, followed by affordability, it makes sense that electronics consumers are used to reading reviews of products. Compare this to industries like fashion, which is much more based on aesthetics, which can be judged easily through images. While learning about the performance and quality of an authentic product through comments and reviews may be a good idea, using these methods to gauge trustworthiness of a product sold online is a big mistake. Amazon and eBay were ranked as the most popular outlet for the sale of counterfeit electronics online. Just over 25 percent of respondents using Amazon and nearly 30 percent on eBay indicated they had purchased the fake electronics goods through the online platforms. Nearly a third of respondents who had bought fake electronics indicated they had purchased fake headphones, making them the most commonly purchased counterfeit item by a large margin. There was a moderately even distribution throughout the rest of the choices, with smartphones and tablets scoring higher than other options. An “Other” category, which included fake e-cigarettes and phone accessories, rated nearly 20 percent of purchases. Almost 60% of respondents were either very disappointed or just disappointed with the quality of the fake products they had purchased, while 17% were extremely satisfied. In general, the vast majority of consumers do not set out to buy fake consumer electronics. Though respondents overwhelmingly use just two ways of evaluating a purchase decision — buyer reviews and star ratings — they tend to be confident in their ability to distinguish between fake and genuine items. However, a large number of consumers, nearly 20%, make the mistake of purchasing counterfeit electronics. A very small minority actually set out with the intention to purchase to buy fake devices and accessories. Fakes greatly endanger brand value. Half of the respondents felt that counterfeits make a brand less desirable. Other responses tended to include comments such as “I wouldn’t think less of the brand, but I wouldn’t buy it online anymore". Nearly half of research respondents would warn family and friends off buying the brand. 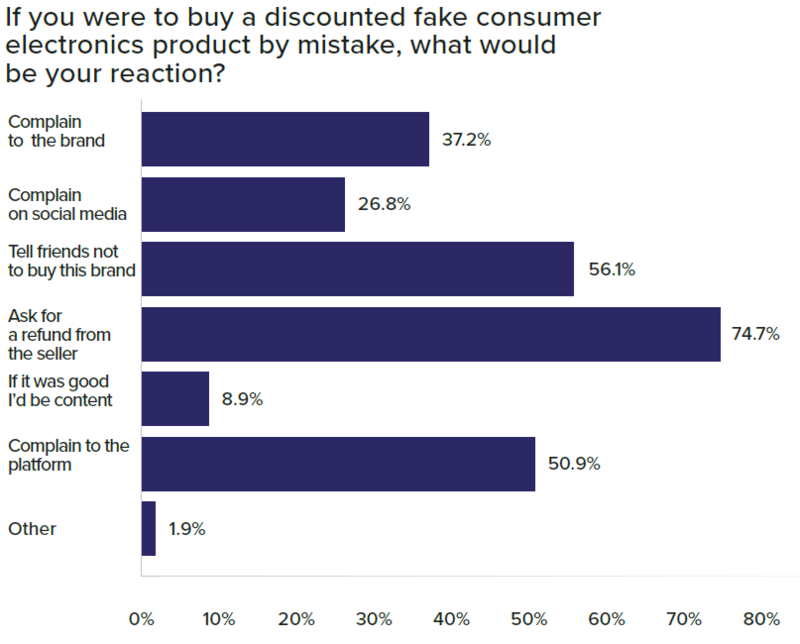 Respondents were asked to imagine their reaction to having bought a fake electronics product by mistake, and to consider their reaction to learning about the widespread presence of counterfeits of a brand. Almost one-third of the survey respondents would no longer buy from a particular brand if they found counterfeits with the same label, either by looking for an alternative or simply avoiding the affected brand altogether - probably to avoid the risk of buying a fake by accident. More than half of respondents said they would see the brand as less desirable in general. More than 55 percent of respondents stated they would be more cautious when shopping. Only 12% of people said they would not change their buying behavior in any way, and only 9% said they’d be content receiving a fake product - so long as the quality were satisfactory. Two-thirds of consumers cited in the survey they would ask for a refund from the seller of the fake if they discovered their purchase was a counterfeit product. Another 50% would report the seller and complain to the platform. While these stats may be encouraging to brands, more than a quarter of buyers also stated they would complain to the brand about the knock-off they’d bought, and a further 37% would complain about the brand publicly on social media. Customers are very sensitive to brand counterfeiting, meaning they'd rather avoid a brand altogether than risk being sold a knock-off. The majority of respondents to the survey said reviews and star ratings are their primary — and only — source for making purchasing decisions. Unfortunately, counterfeiters have learned to manipulate reviews and star ratings to their advantage. Primary drivers in the purchase of counterfeit products are affordability and performance. As long as a product meets these two criteria — and chance encounters with relatively low-cost fakes are as frequent as finding genuine articles — consumers are inclined to buy the brand knock-offs. For brands, this means having a wider price range on their products may help catch those customers who would be tempted by cheap, fake electronics. In addition, educating their customers on how to spot fake items would also help those tempted by price but perhaps don’t have the knowledge to identify a fake. Audiences are growing more open to the idea of using social media as a shopping platform also, with 76% of consumers saying they either already have or would consider buying an item from a social media advert, post or comment. Brands should expand their defense of their label beyond the big retail platforms to include social media. 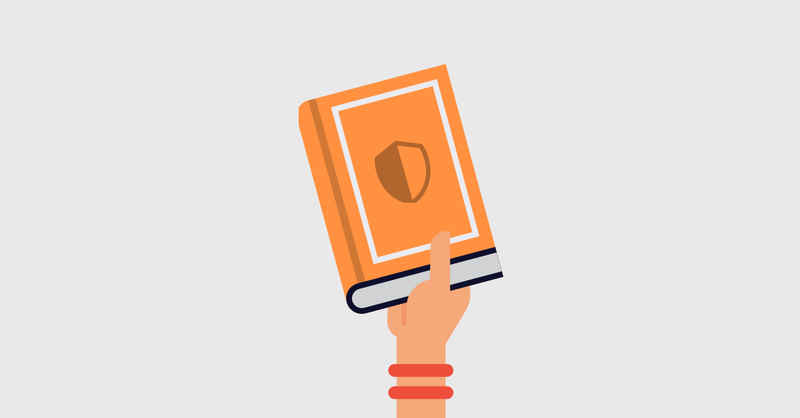 Brands should execute an active strategy to combat pages, profiles, and adverts that seek to drive consumers to counterfeit listings. With just over half of participants said they would find a brand less desirable if they became aware there were lots of fakes of this brand. The finding presents there is a clear and present danger to brand equity. The negative opinions of consumers can clearly undermine brand value. The adverse impact on brand image can spread rapidly. Half of the consumers in the survey said they would warn their social circle if the respondents bought a fake consumer electronic item. More than a quarter would complain about the purchase on social media, chancing a viral effect no brand ever wants. The full report, “Shocking Counterfeits - The spread and consequences of fake electronics online,” is available for brands for free, and contains a deep investigative look into a wider range of data taken from surveying 270 respondents across a wide range of education and income levels. Click the link below to get your copy of the ebook now.